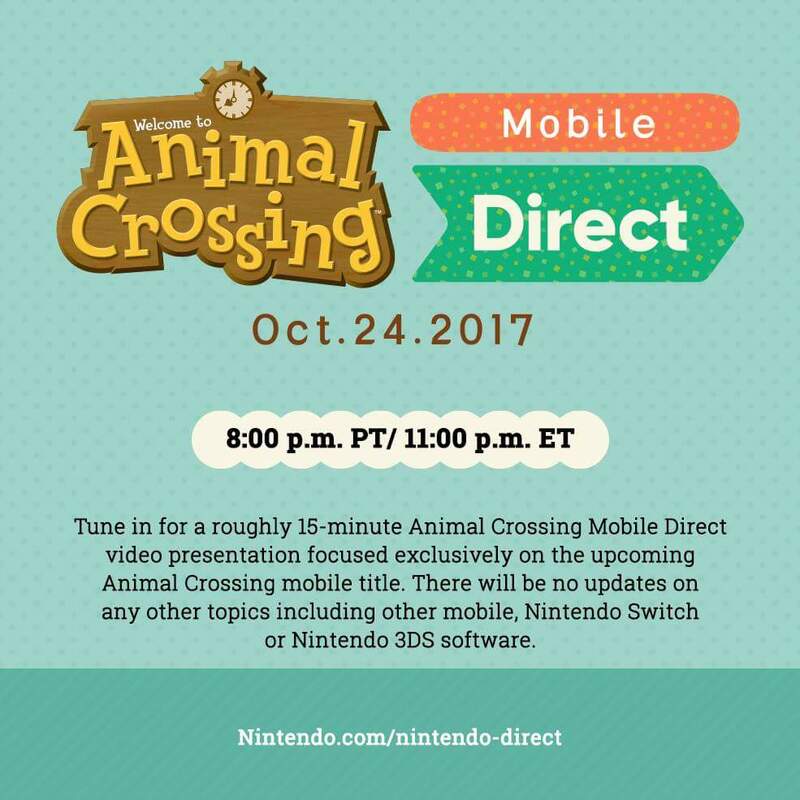 Nintendo announced this morning that there will be a special Nintendo Direct planned for tomorrow. 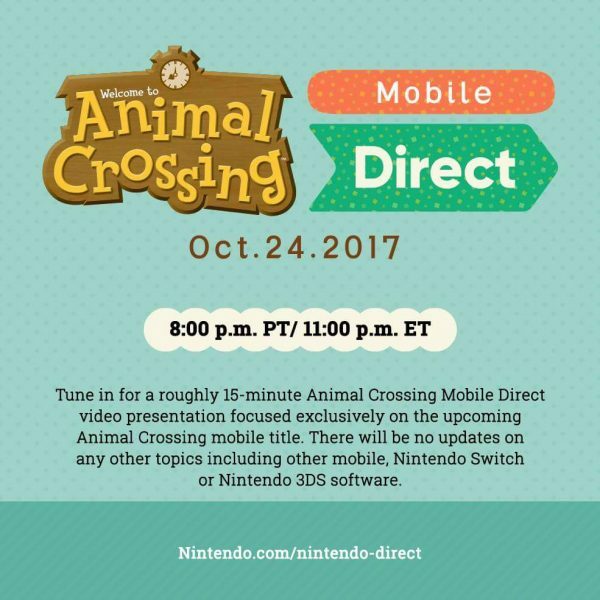 The Direct will be focused solely on the Animal Crossing mobile app. A mobile app based in the Nintendo franchise was announced long ago with no details aside from being dated for 2017. The presentation tomorrow should give us all the information we need including release date, pricing, as well as just what the app will be about. Will this be a mobile version of the popular game? Will it connect somehow to the 3DS title or allow for some functionality between the two titles? Perhaps the new app will play a role in an as yet unannounced Switch title. So many questions, which will hopefully be answered tomorrow. 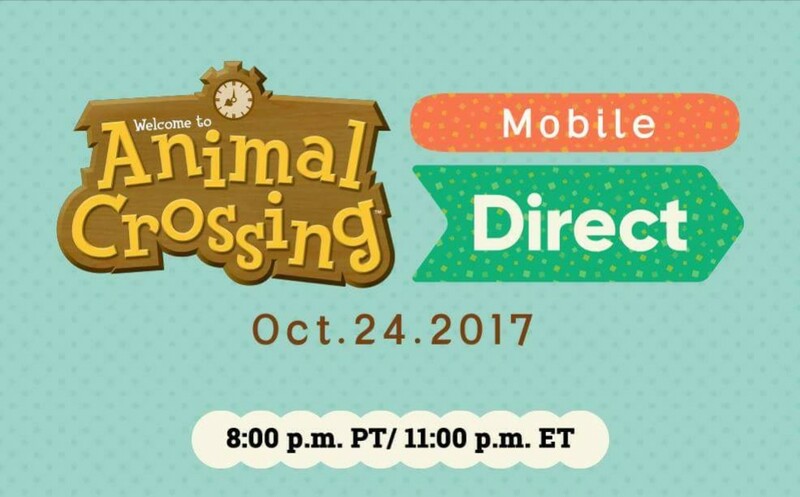 The Nintendo Direct is set to begin at 11:00PM ET.